Wellington is the capital city of New Zealand. This is the Parliament and other government buildings. Colourful fountains are amongst the interesting artwork found throughout the city. The views from the top of the cable car line are incredible. 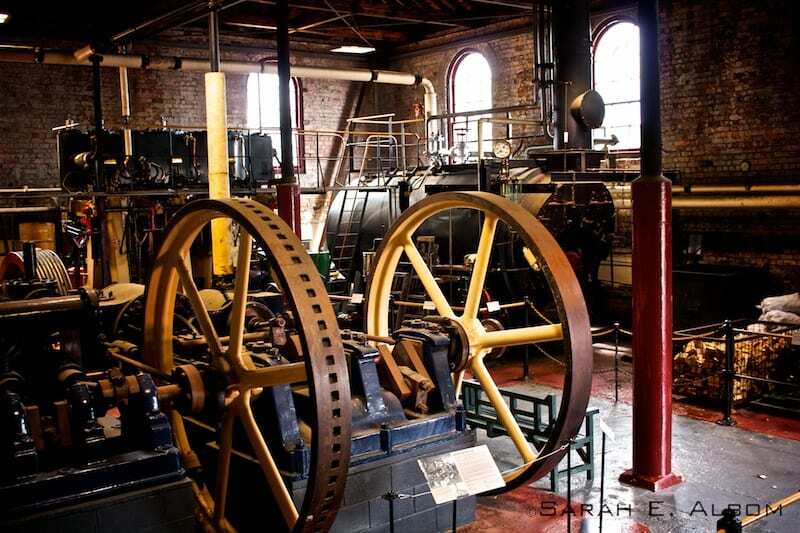 Up here you will also find the Botanic Gardens, Cable Car Museum, and Carter Observatory. 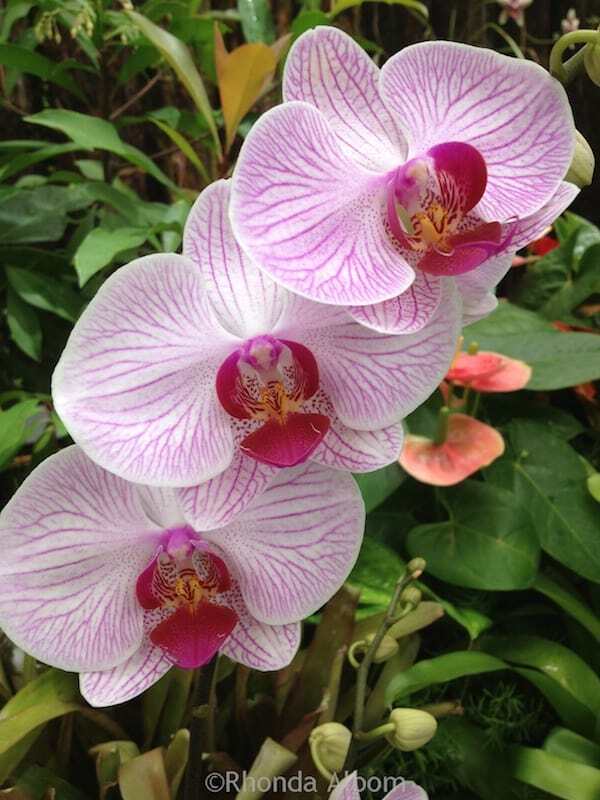 Beautiful and exotic flower and native plant life fill the botanic gardens. 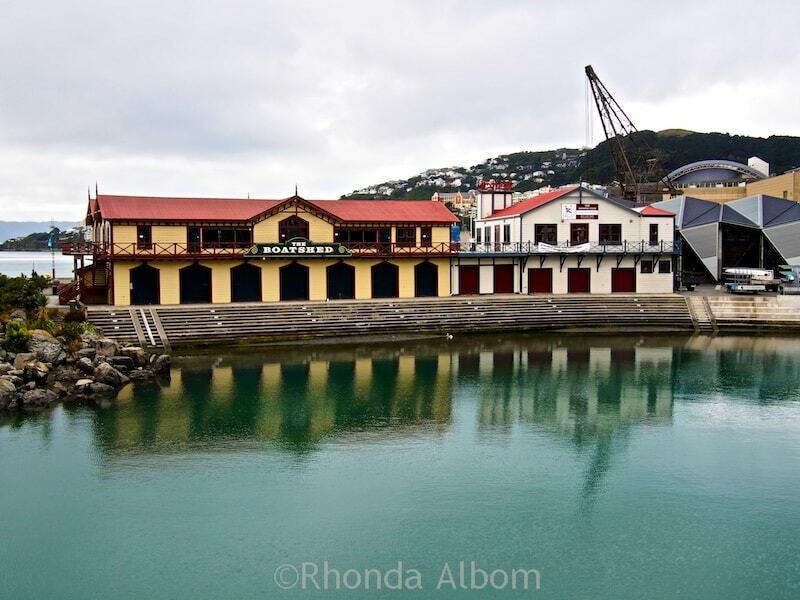 Wellington looks after its history like this boat shed, which is one of Wellington’s oldest buildings. 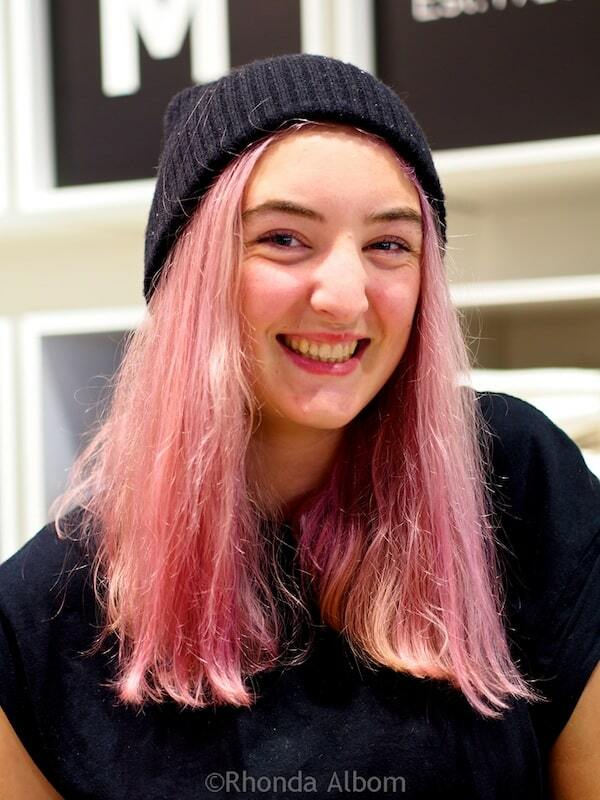 The people are interesting, many donning a rainbow of hair colour. 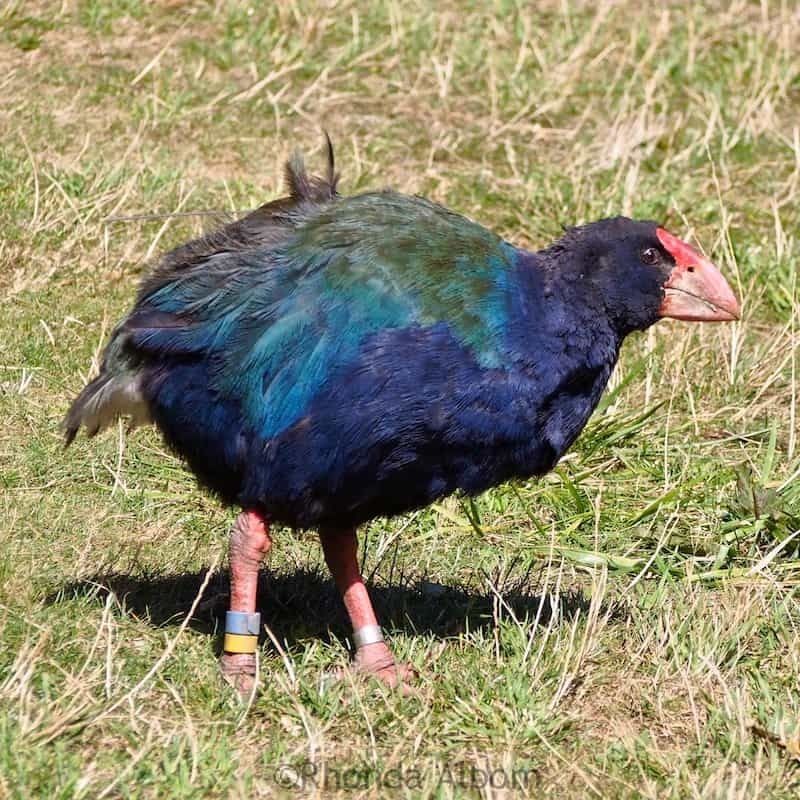 Takahe is one of the many critically endangered species we saw at Zealandia. Weta Cave and Weta Workshop, the special effects company that is home to Lord of the Rings and other great movies and TV programmes. This piano sits along the waterfront, free for anyone to play. It asks only for donations to keep it in tune. 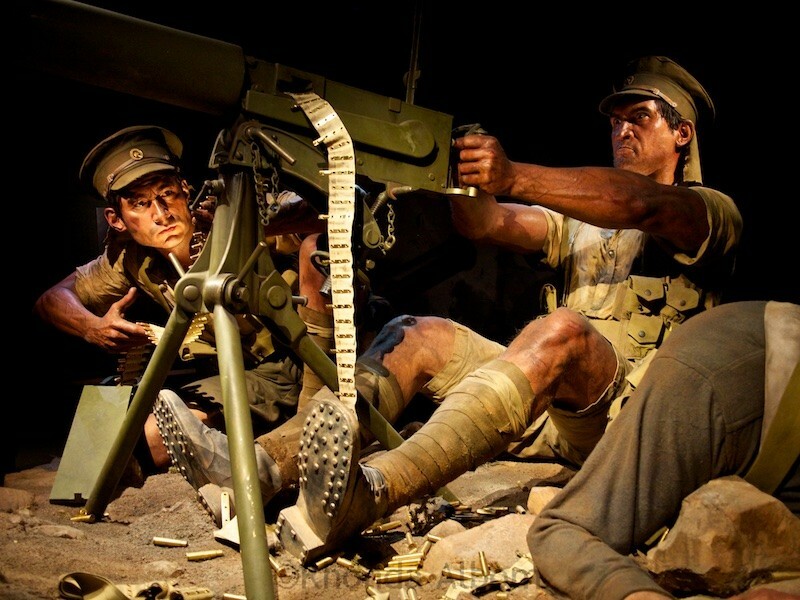 Gallipoli The Scale of our War is a special five-year exhibit at Te Papa the National Museum. It is one of two dramatic war exhibits in the city. 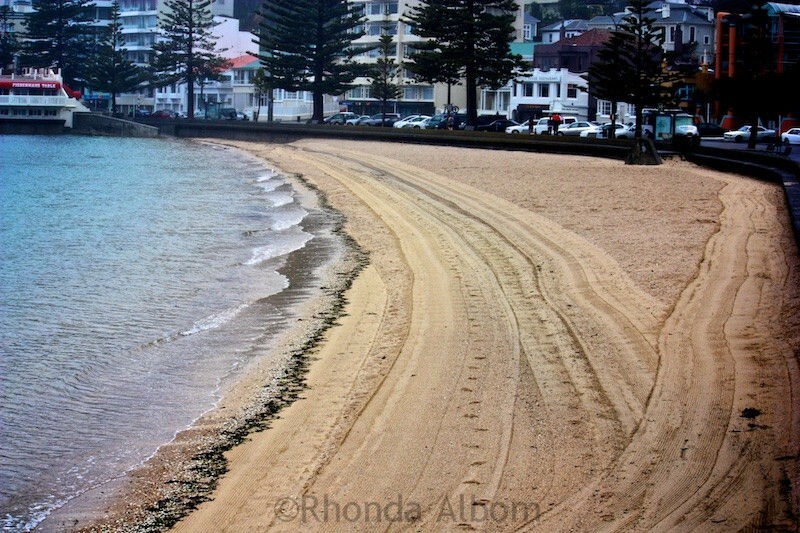 There’s a beach at Oriental Bay. 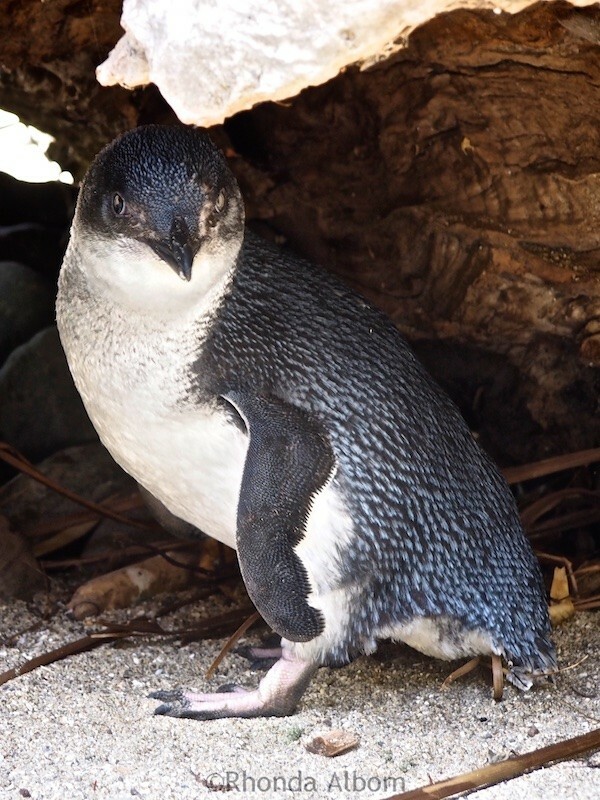 While this little blue penguin was spotted at the Wellington Zoo, the world’s smallest penguin is also found in the waters around New Zealand. Awesome artwork on the streets, this one on Lambton Quay, the main shopping district. The national museum holds our history, including this Maori gate. Currently, it is home to a fascinating war exhibition. Creative street performers. 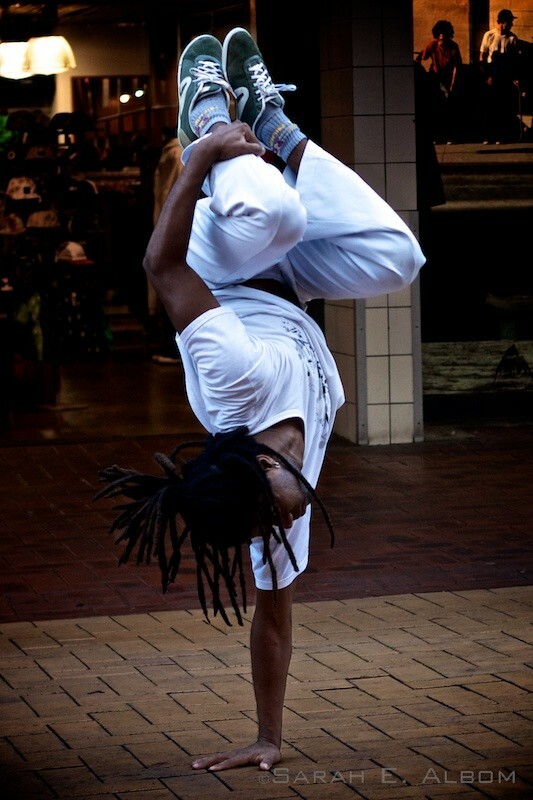 He is part of a captivating capoeira group. 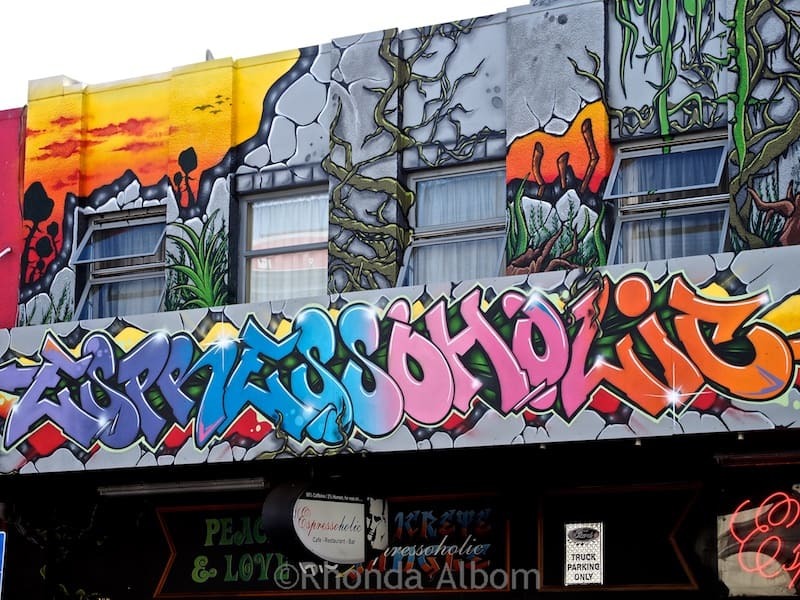 Colourful graffiti art is so prevalent, it is even used for retail signage. 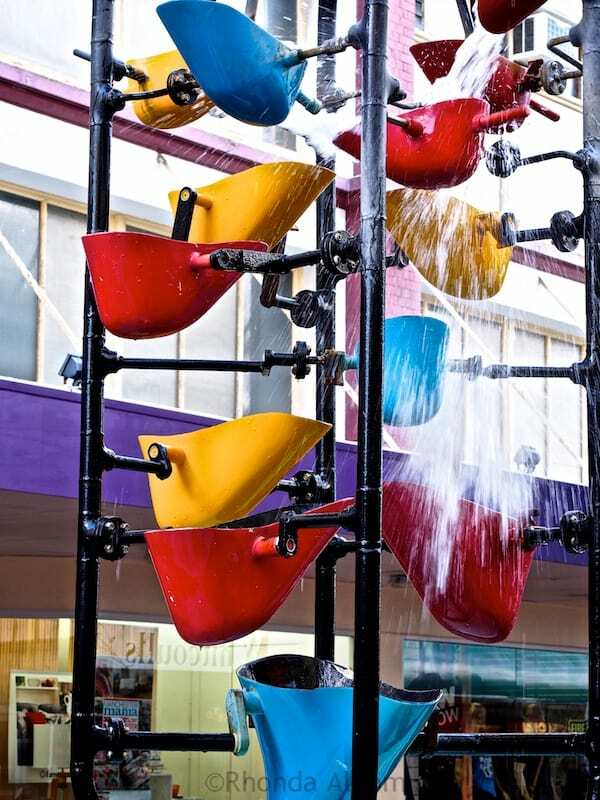 Fun and unusual public artwork can be found everywhere. This one shot during a walking tour of the city. We have done multiple getaway trips to Wellington, each time following a different itinerary, until we perfected our favourite. Have you been to Wellington? What is your favourite weekend getaway destination? Never seen Wellington this close, seems like a cool place to send time and relax. New Zealand is amazing and our capital city is so often over looked by tourists. New Zealand is so close thats it always been a maybe in the future country but the more I hear about it the more I want to go now! Come for a while, there is a lot to see in this small country. Very convincing, Rhonda. 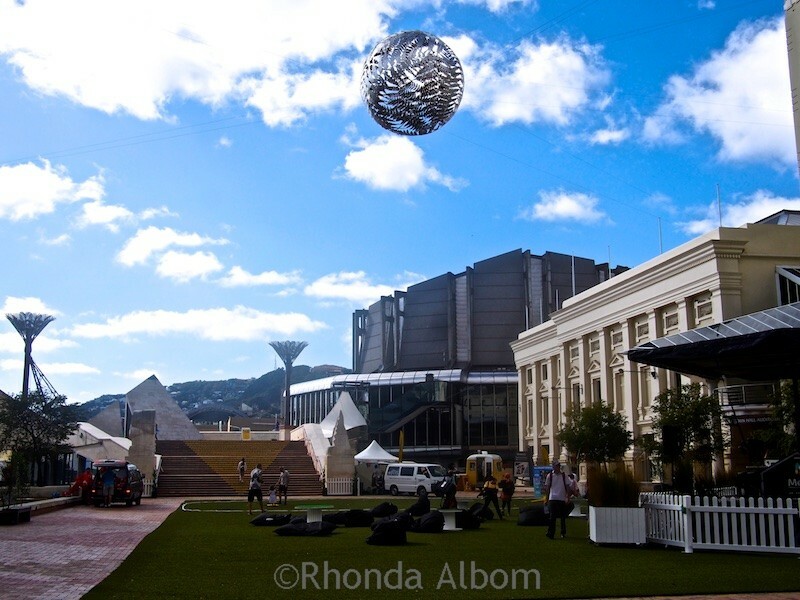 You have something of everything in Wellington and your pictures caught the beauty of the city very well. These are wonderful photos. Great post! To be honest, I will be more than happy if I visit New Zealand and visit Wellington and the surrounding areas. The country is famous for all its breathtaking natural areas but I am sure I will enjoy the cities a lot. It’s true, there are so many amazing places to visit in New Zealand, the cities tend to get lost. 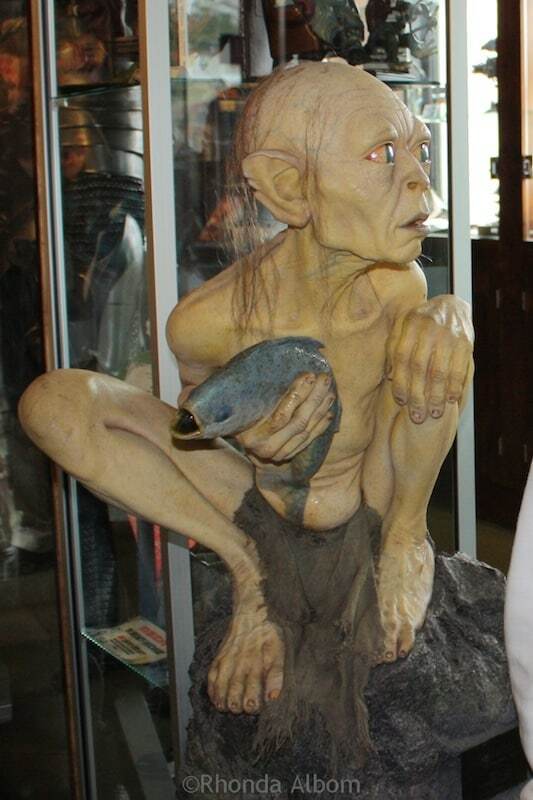 New Zealand has held an allure for me since well before LOTR came out. The would never build a diving platform like that here in the US; too much fear of lawsuits. Have to admire your more laid back attitudes about some things. LOL – lawsuits and the fear of them are one of the things I really don’t miss about living in the USA. The liabilty laws are different here. Oh, you have captured some great moments in those pictures- amazing:-) Love the colours! 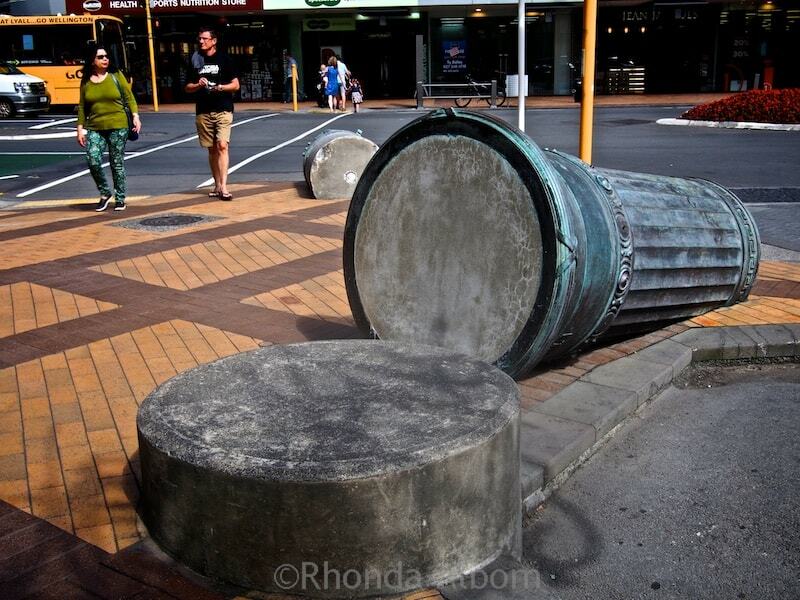 I love that Wellington Council was proactive in providing a free-to-use Taranaki Street Jump Platform. New Zealand is very cool that way. New Zealand is a country which prides itself on honesty. People play the piano everyday, they just wheel it in and out at night (I am guessing that’s what they do). The cable car is one of the things I do every time I visit Wellington. Thanks for the reminder, Rhonda! Your photographs pop. You really bring Wellington to life. Seeing it through your eyes makes me want to see it with mine. A very vibrant city. Thanks Marcia. Wellington is an easy city to photograph. What a beautiful city with wonderful things to see. Your photography brings the picture to life. Wow!. I can’t wait until each morning just to check on your blog Rhonda. Thank you for your great work. See ya. Wow, thank you Paul. I am glad you enjoy my photography. 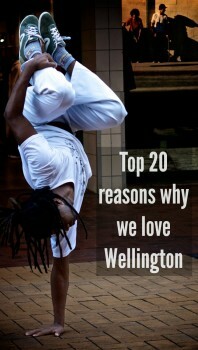 These photos have really made me want to see Wellington. It’s beautiful with a lot of color. I, too, liked that piano. I trust they have a way to protect it in bad weather. The piano is on wheels, so I am sure they wheel it away every night, or in the rain. Very beautiful and vibrant photos of Wellington.The parliament house is wonderful.I love the idea of having a piano at the waterfront. 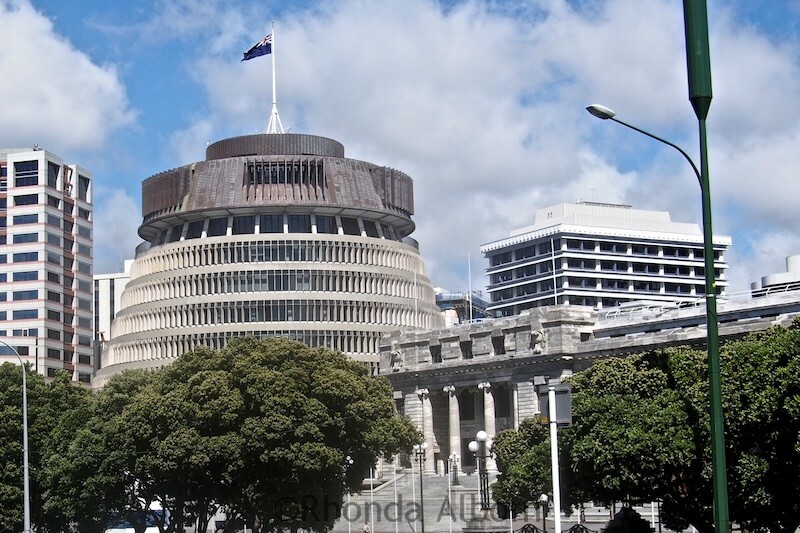 The beehive is one of my favorite architectural buildings in the country. Wonderful photos of Wellington! 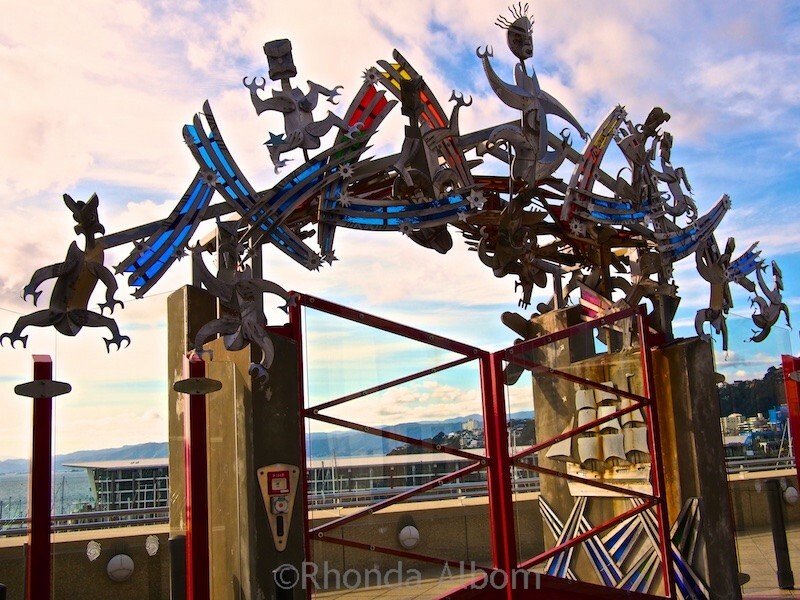 It looks like it’s a city with a great mix of nature, culture, and art! A friend and I are planning a visit there and I’m thrilled to go now that I’ve seen your photos! 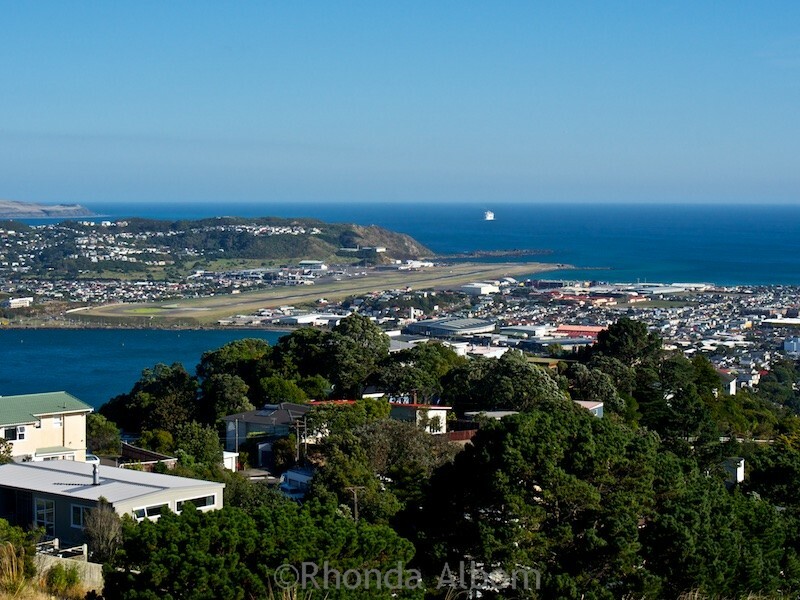 Are you visiting much of the country, or just heading to Wellington? My friend and I are also planning on visiting Auckland, Rotorua, and Taupo. If we can make it to the South Island, I’d LOVE to, but not certain on that one. What time of year are you visiting? Whenever it is, New Zealand is always wonderful. It is a funky, and fun city. Well, that was a great look at Wellington. I’ve never been there but you never know. I may just show up one day. I hope you do show up some day. Would love to meet you in person one day. Thanks Tanja, I hope you get here one day too. Wellington looks like a beautiful and interesting city. Your photos really capture a wonderful assortment of things to see. Yes, it is both beautiful and interesting. You have me convinced, Wellington looks amazing. I love all of the diversity that the city seems to offer. It really is my favorite weekend destination. Wellington is one of so many amazing cities in New Zealand. I hope you get to visit one of my favorite cities. I gawked at every photo and then said “Oh my gosh” upon seeing the man doing a one-handed hand-stand. Amazing. He makes it looks so easy. 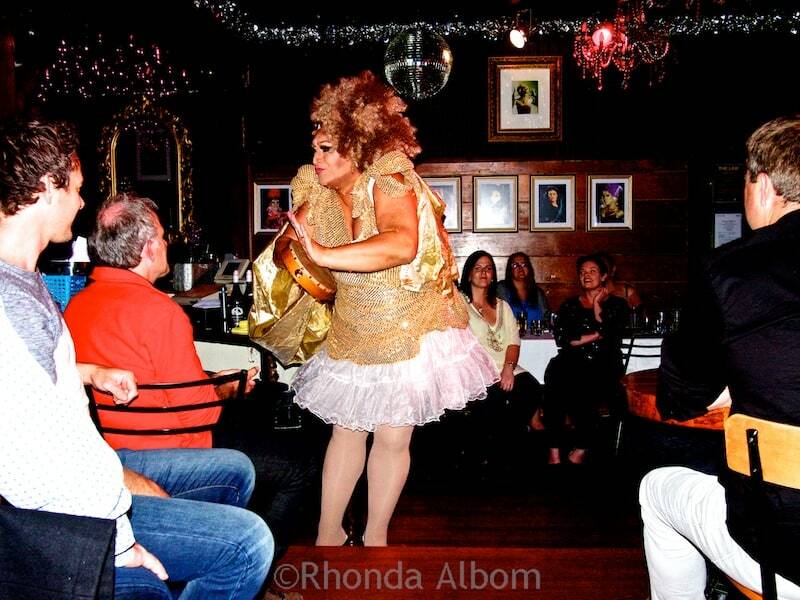 Thanks for the tour of Wellington, Rhonda. Wellington certainly seems like quite a wonderful place to spend some time! 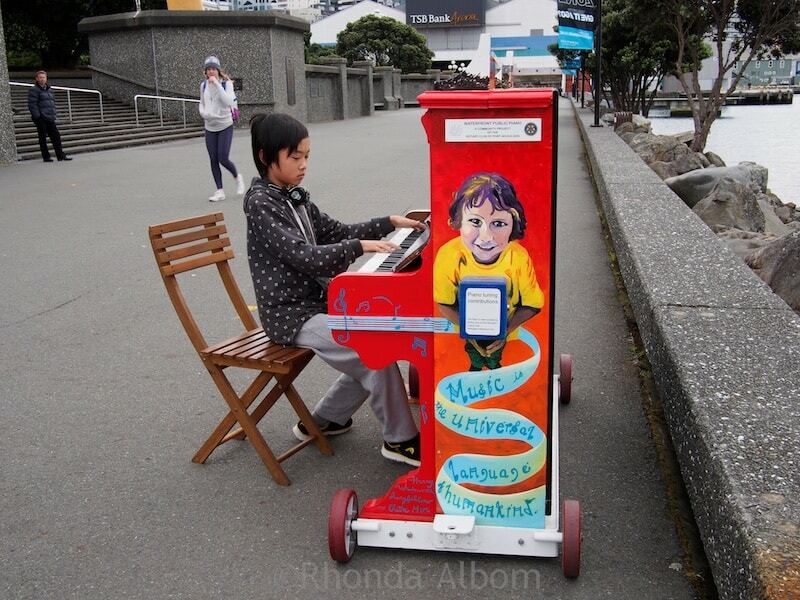 I love that piano at the waterfront – what a beautiful idea! I love that instead of fighting against what people are doing, the city just went with it. Awesome idea. The little boy at the piano was incredibly talented. It’s too bad I couldn’t share the music here as well. Wellington is an amazing city.